A shiny day where my mind was busy. I cannot feel the fire that once birthed all my dreams, desires, and passions. I desire passionate, wild and luscious love making. Why am I missing my lover? Why am I not attracting wealth into my life? Why can’t I feel my fire? I am exhausted to try so hard to make things happen. I cannot do it alone any longer. Feeling my heartbeat, my inhalation, my exhalation, my thoughts, my emotions and my desire to search for the answer or the question that can give me the clues of this painful disconnection, separation, and isolation. In hope I surrender to their infinite wisdom and love. Both create infinity where time stops from beating the drum. they look at my eyes with their beautiful hazel eyes and my wholeness feels its presence again. What am I afraid to commit to? One question, one question is all it takes. This question strokes my heart with a rush of energy, my body with chills and trembling, my mind with memories and my soul feeling liberation. There is no return exit. I have to face this, it’s time! Even if it feels like hell, I have to do it. Many seasons in my life, I have been afraid to commit to different opportunities, lovers, projects, wealth and my own health. I have been afraid to commit to what truly feels exciting to me, to what makes me thrive and fires me up. I have been afraid to commit to my own health, wealth and abundance. I have been afraid to unleash myself and commit to all aspects of me. What if I don’t know how to solve whatever comes my way? What if people reject me? What if my own parents don’t accept me? What if my lovers don’t want me? What if I become not likeable? But these fears are a sign you are getting out of your comfort zone: growing, evolving and transforming. These fears are butterflies of excitement to let you know your are on your path to rediscover more of you and your infinity. They let you see what is possible if you don’t follow your heart and inner fire ~ your creative power. These fears are with you to make your experience on earth a little more spicy and a lot more interesting. With a smile he holds me tight in his arms for infinity to track it’s time. My fingers and toes play with the water from the temple’s fountain. Still feeling the freedom and peace in my heart, knowing fear of commitment is part of me, and it will arise when I am disconnected from my body, my heart, and my higher power. To remind me to get back into my fullness ~ into my wholeness. I have committed to self, all of me to all of me and to the unknown of my delicious and Orgasmic journey. I am committed to me more than ever before. All I have to do is to feel the fear, embrace it and get back to my body, my heart, and soul with gratitude and joy. 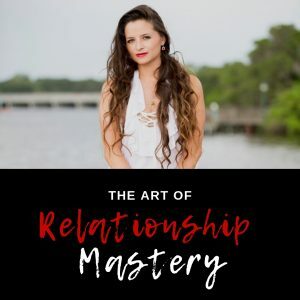 If you have ever been afraid of commitment and/or attracted people into your life who are afraid to commit in any relationship ~ there may be some self-commitment fears you may want to address and heal to be able to manifest the relationships you truly desire. If self-commitment is being avoided you will keep attracting non committed lovers, partners, clients, projects, business deals and even money ~ your time to get this handled is now. If you feel ready to commit to yourself to manifest the life you truly desire CLICK HERE to BOOK a complimentary Love Breakthrough Strategy Call to gain clarity on what you want in your life and how I can help you.